You will be met on arrival at Jomo Kenyatta International Airport by our office representative and your driver guide and you will be transferred to a city hotel where you will have a Safari briefing. depart for Amboseli National Park, the land of Elephants. You will arrive for lunch at your overnight accommodation and have some relaxing time till 1600hrs when you’ll leave the hotel for an evening game drive. You will return at sunset to relax, have your dinner and overnight. Amboseli National Park offers one of the finest wildlife-viewing experiences in Kenya and Africa at large. Amboseli National Park lays immediately north-west of Mount Kilimanjaro, on the border of Kenya – Tanzania. The Park stretches over an area of 392 square km, and forms part of the much larger 3,000 sq km Amboseli ecosystem. Amboseli and the neighboring areas are mainly settlement areas of the Maasai Warriors. The park is famous for being the best place in Africa to get close to concentration of free-ranging elephants and best view of Mount Kilimanjaro. Amboseli is a home to different mammals and over 425 birds’ species which include; Elephants, Buffalos, Cheetahs, Lions, Zebra, Jackals, Hyenas, Wildebeests, Baboons, Oryx, Gerenuk, Impala, and Grant’s gazelle. You will have a full day to explore what Amboseli National Park has in offer. You will have a morning game drive at 0630hrs and an afternoon game drive at 1600hrs with leisure time in between the game drives. After breakfast you will drive to Naivasha via Nairobi through the Great Rift Valley Floor. Enjoy the day at leisure with lunch at the lodge. Extra optional activities at a cost include a visit to the crescent Island and later enjoy a boat ride at the lake. After breakfast, you will have a leisure drive to Lake Nakuru National Park. You will enjoy a morning game drive thereafter proceed for lunch at the Sarova Lion Hill followed by an afternoon game drive. You will return in the evening to your lodge for a sumptuous meal, relaxation and overnight. Lake Nakuru National Park’s claim to fame is anchored on its Flamingo’s and the over 400 species of birds found here. The lake itself is a soda lake on the floor of the Rift valley. The sight of the at times millions of Flamingos is quite spectacular. From a distance the lake appears ringed in pink. The Lake has also earned a reputation as an important haven for endangered species- particularly the Rothschild Giraffe and the Black and White Rhino. Lions, Waterbuck, Buffalo and Baboons are all residents here. After Breakfast you will drive to Maasai Mara Game Reserve where you will arrive in time for lunch. At 1600hrs, enjoy an afternoon game drive within the park. You will return at sunset for dinner and overnight. You will have a full day to explore the Mara. You can opt to have a morning and afternoon game drive with meals at the lodge or alternatively after breakfast spend the entire day exploring the Mara with picnic lunch. Extra optional activities at a cost include a balloon safari and a visit to a Masai village. Masai Mara Game Reserve: is the largest and most popular reserve globally especially due to the great migration that occurs July-August and October-November. It has a wide variety of wildlife i.e. Wildebeests, Giraffes, Zebras, Leopards, Lions, Cheetahs, Thompson’s Gazelle, Hyenas and so many more. Hippos and Crocodiles dominate the Mara River especially during the migration so as to feast on the wildlife that migrates in search of new pastures. There are also Maasai villages near the reserve and one may spot some Maasai men herding cattle. the sun rises and floats in whichever direction the wind of the morning takes you. Your pilot can precisely control the altitude of your balloon: sometimes flying at treetop height, sometimes lower, offering a unique perspective and great photographic opportunities of the wildlife below. At other times he will ascend to 1000ft or more to see the enormity and wonderful panorama of the Maasai Mara. From time to time the pilot must put more heat into the balloon with the powerful whisper burners. In between these burns, there is silence apart from the natural sounds below. On landing you will enjoy breakfast in the wild and later join your driver guide. On this day after having your breakfast, you will depart with packed lunch enroute game drive as you exit Mara to the border of Tanzania and Kenya at Isebania. You will first clear immigrations and custom formalities and be joined by your Tanzanian driver guide who will drive you to Serengeti. Arrival and check in at the lodge. Serengeti National Park extends over an area of 14.763 square kilometers, which makes it one of the largest protected areas in the Tanzania. Just as its name suggests (Serengeti means “never ending plains”), this is an immense plain, a large animal sanctuary bordered on the east by the Ngorongoro volcanoes, and on the west by Lake Victoria, into which drain the main rivers that cross the plains (Grumeti, Seronera, Orangi). And in the midst of this “sea of grass” rise the rocky outcrops known as kopjes, refuge for a great number of smaller animals, as well as Lions and Leopards. However, the thing which catches most of our attention is the sheer number of animals’ present: Zebras, Thompson´s and Grant´s gazelles, Hartebeest, Topis, Buffalos, Jackals, Hyenas as well as the annual wildebeest migration. You will have a full day to explore the Serengeti Park. You will have an early morning game drive at 0630 hours. Later you will return for breakfast and have some leisure time. After having your lunch and some leisure time, you will proceed for an afternoon game drive till evening. Early morning breakfast, depart with picnic lunch boxes and enjoy an early morning drive in Serengeti enroute to Ngorongoro Conservation Area, you will have a stopover at Olduvai Gorge and also have your lunch. Later, in the afternoon you will explore the crater. After a full day of exploring the crater, you will ascend to the crater rim to your overnight accommodation for a relaxing evening and a sumptuous a meal. flamingoes, and the surrounding acacia thickets that are home to Rhinos, Elephants and Cape elands; you will approach the natural rain water pools in search of Hippos, and then you will continue your game drive to look for Lions and Jackals. After breakfast you will drive to Arusha. If time allows you’ll be dropped at a curio shop to buy some gift. After which your driver guide will drop you at the airport in good time for your 13:05 flight to Zanzibar Island. Upon arrival at the airport in Zanzibar, you will be picked by another driver who will transfer you to your overnight hotel. You will have three full days at the hotel. 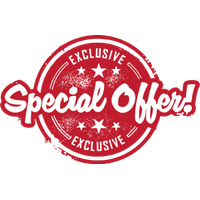 You will have to do city excursions such as Spice tour, Stone Town Tour, Dolphin Safari and Prison Island Tour. Zanzibar Serena Hotel offers a transport to and from the beach where you can go during your stay and have a relaxing moment as you take part in some the beach activities. In the afternoon hours you will have a relaxing time at the beach and also get to enjoy the facilities of the hotel. Activities you can engage in are Table Tennis and lawn tennis, windsurfing, scuba diving and beach sports. After breakfast you will be transferred to the airport your representative for your flight to Nairobi. Upon reaching the JKIA, you will be met by a driver who will transfer you to ibis hotel for overnight and dinner. 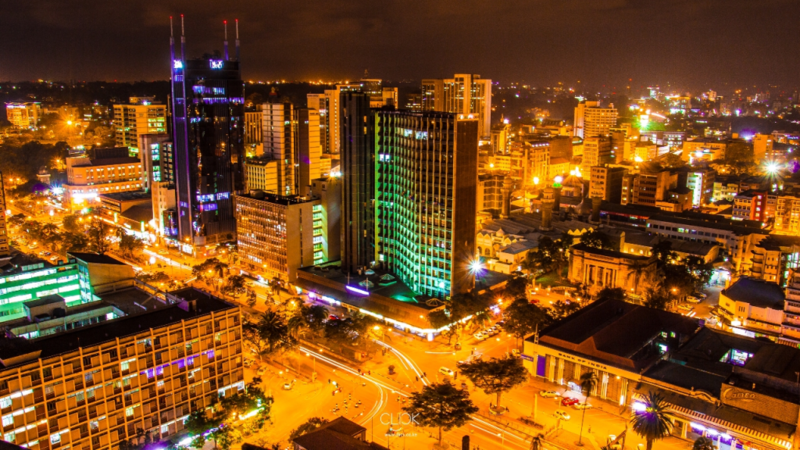 You can opt to have a chance to experience the Nairobi night life. Your hotel is located in the heart of Kenya’s liveliest areas. You will be picked by your Safari driver who will drop you at the airport in time for your flight back home. All park fee and conservation fee. Exclusive used of a 4×4 customized safari van in Kenya and a Land cruiser in Tanzania. Game drives as stated in the program.